Dropbox is an amazing little file sync/backup solution that just works. I highly recommend it to all my users to give it a try. You get a free 2GB account when you sign up. If you already use Dropbox, you are in for a little treat. 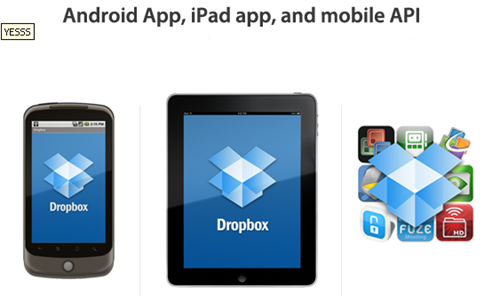 Dropbox is now available as an Android app for all the Android based mobile phone users. Also, Apple iPad has been given a lot of love with the Dropbox iPad app. Also Blackberry Dropbox app has been confirmed that it should be released soon. This just expands where you can access your files via Dropbox seamlessly to Windows, Mac, Linux, iPhone, iPad and Android with Blackberry support on its way. Dropbox is truly becoming ubiquitous. 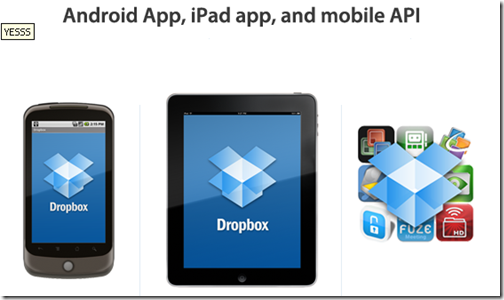 Dropbox has also announced a new Mobile API Developer Program. There are already a few partner apps that work great with Dropbox and mobile devices like iPhone and iPad. For the Dropbox power users, Dropbox Hacks is a must-see.